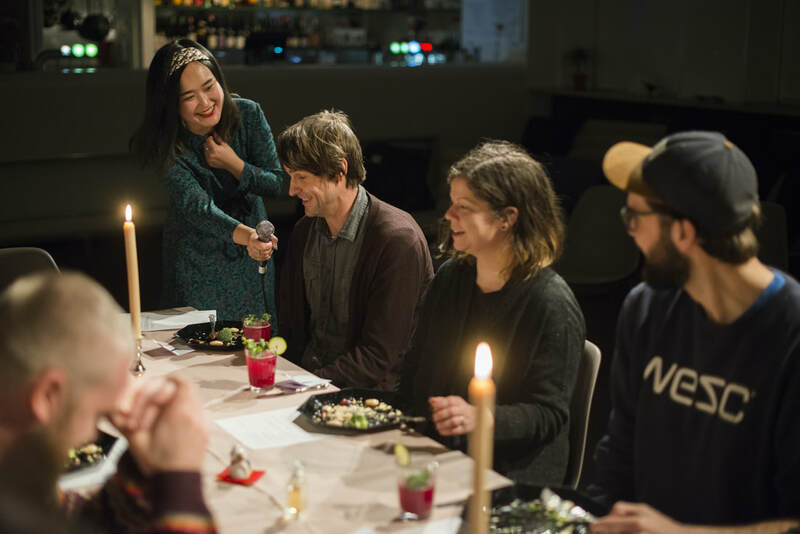 In our culture of perpetual busyness, being busy is seen as a sign of success, productivity, and social status. If you do an online search for the opposite – boredom – youtube (a great place to never be bored) will display videos on "5 great ways to cure boredom" or on how to spend your "lazy day" by suggesting various productive activities (...). But the following paradox presents itself: a state of boredom, where the mind is allowed to drift, can often lead to creative thinking and impulses. As artists, boredom is an essential part of the creative process. 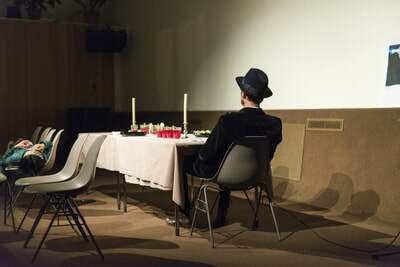 As human beings, boredom also enables us to reflect. 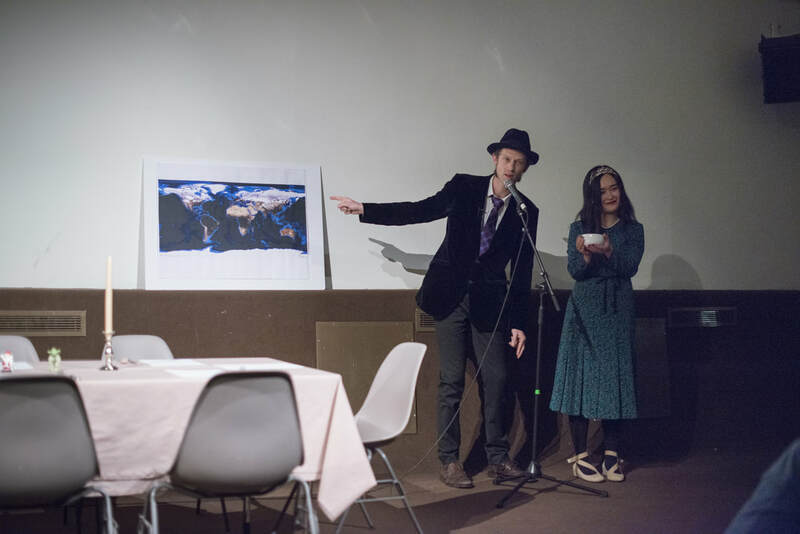 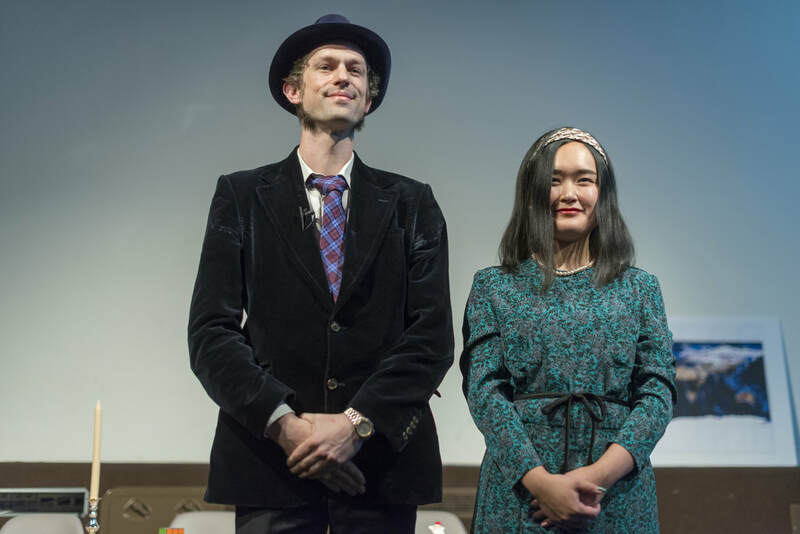 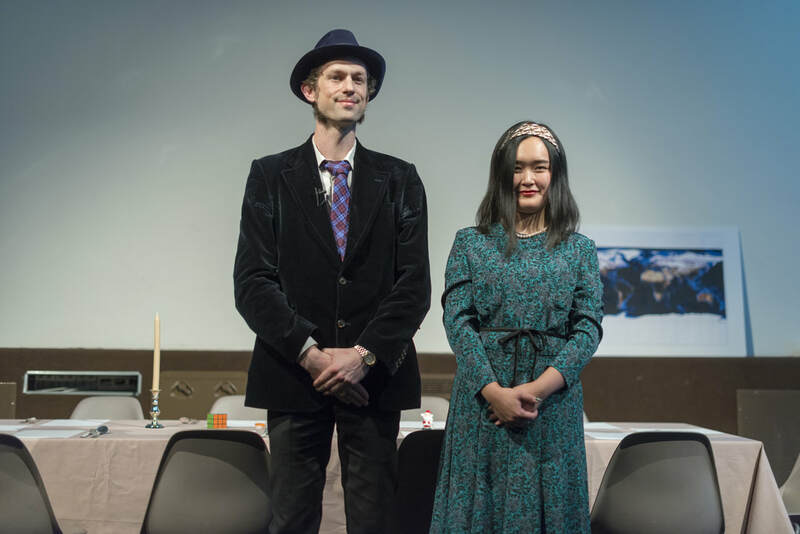 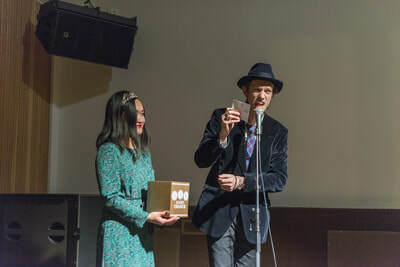 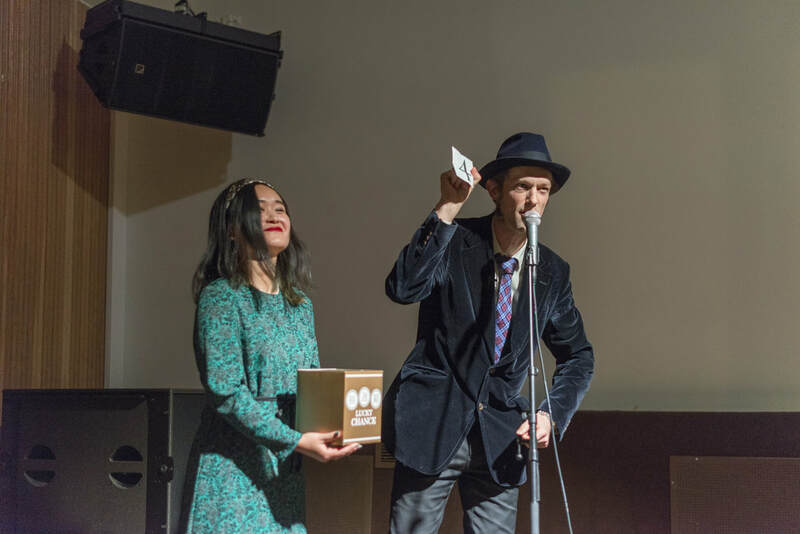 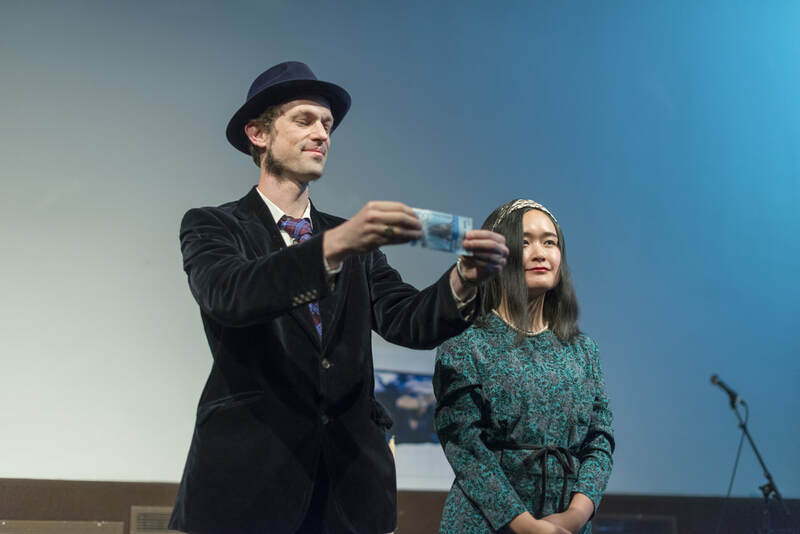 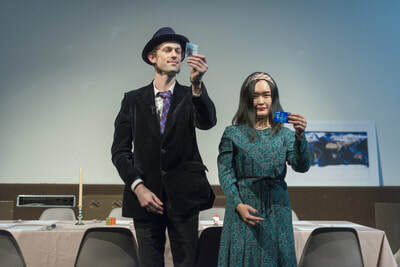 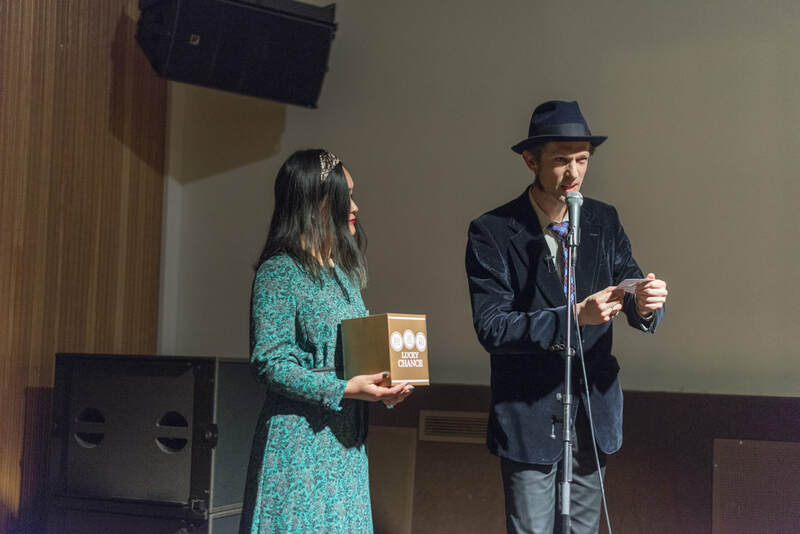 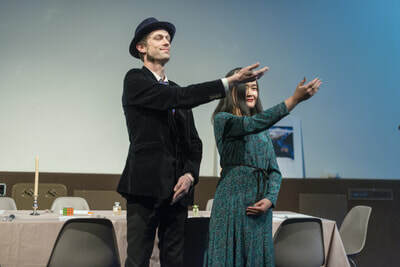 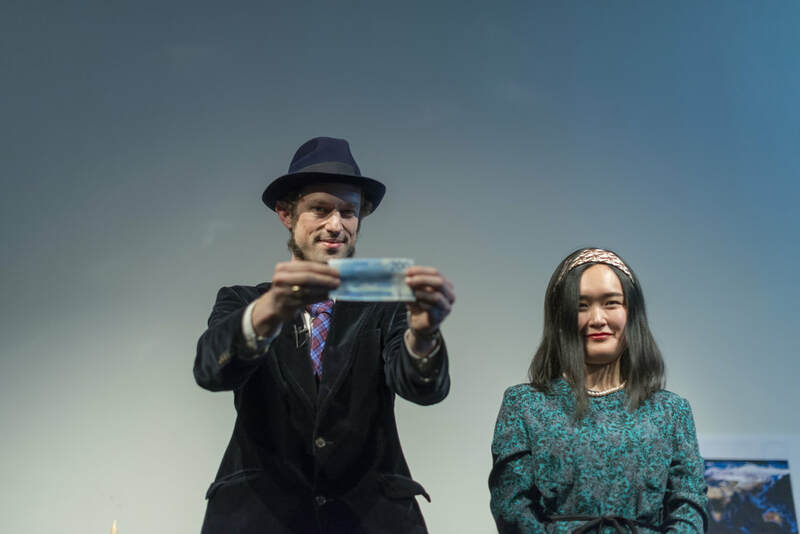 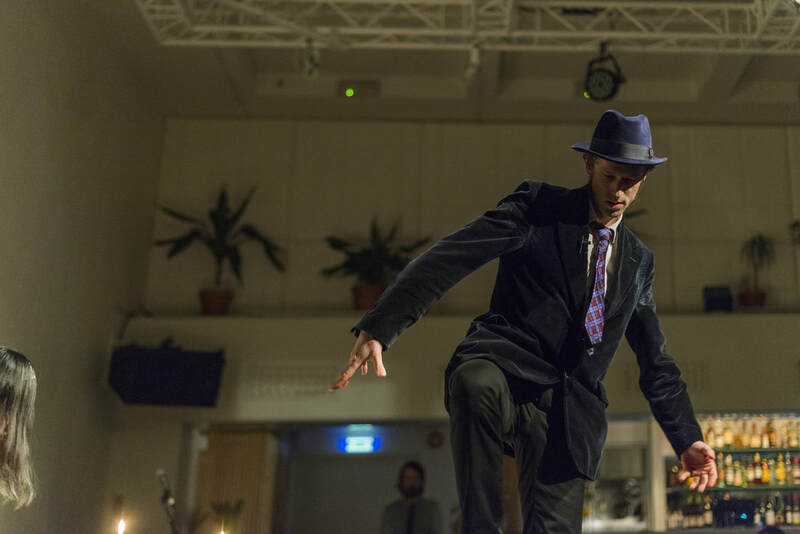 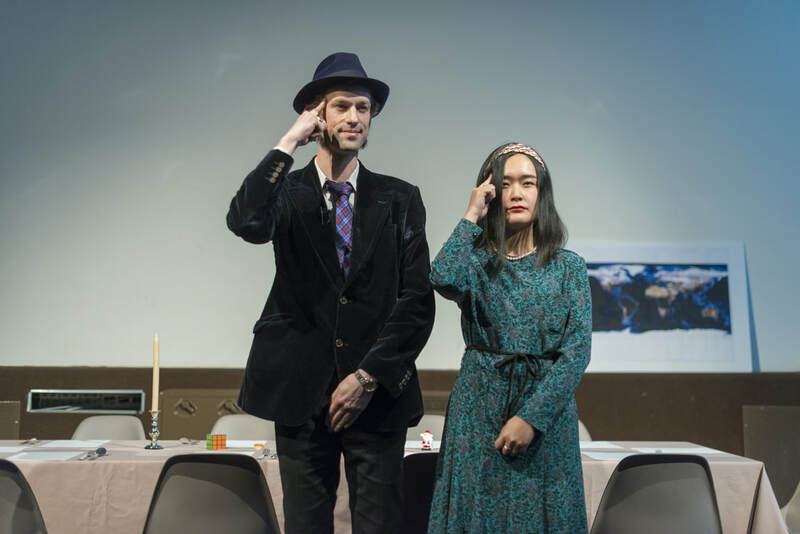 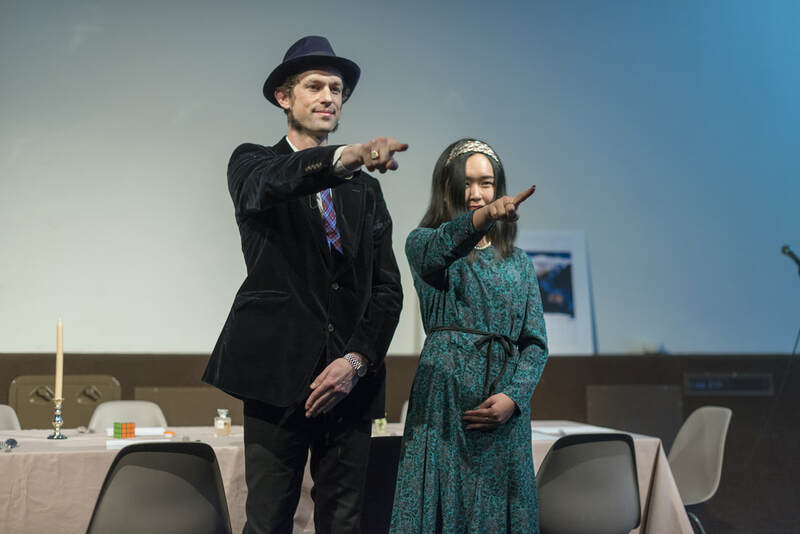 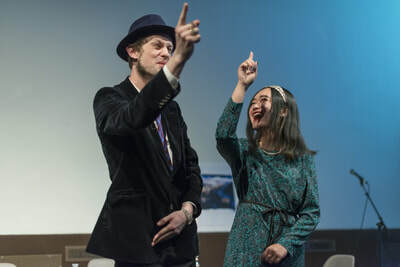 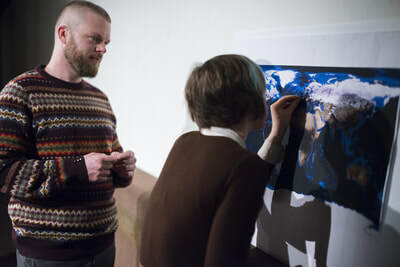 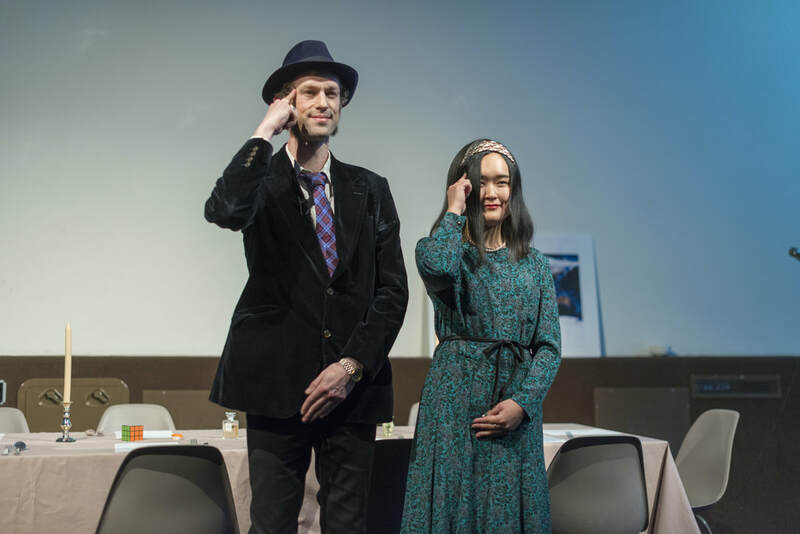 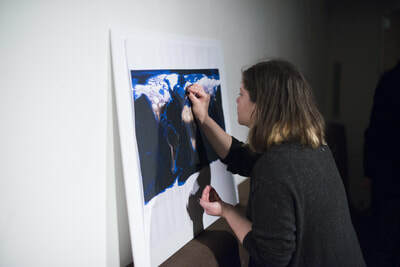 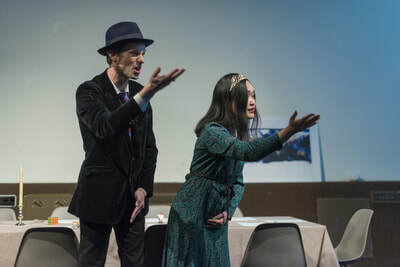 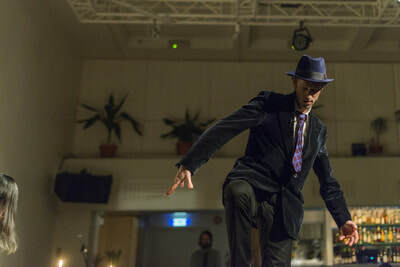 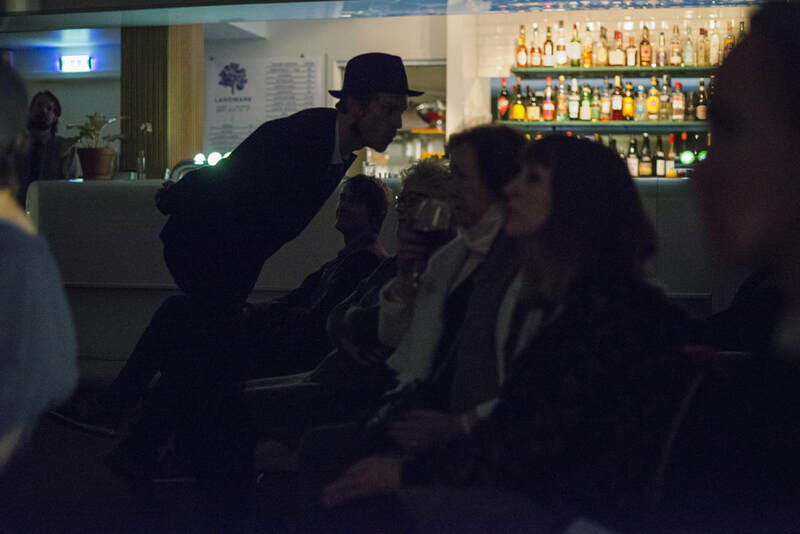 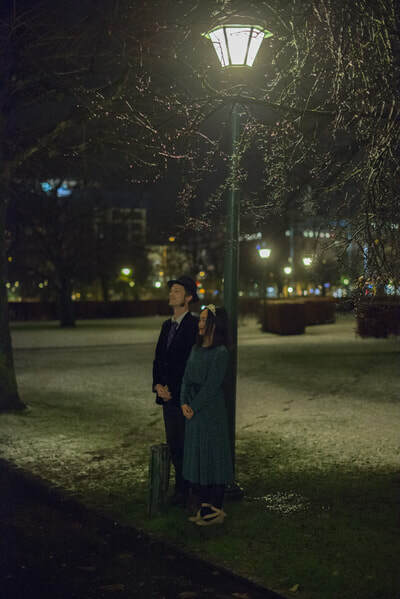 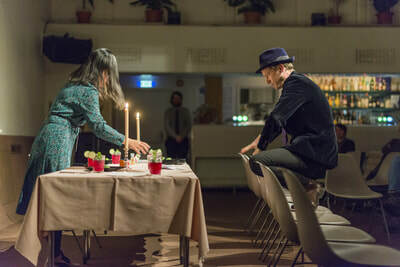 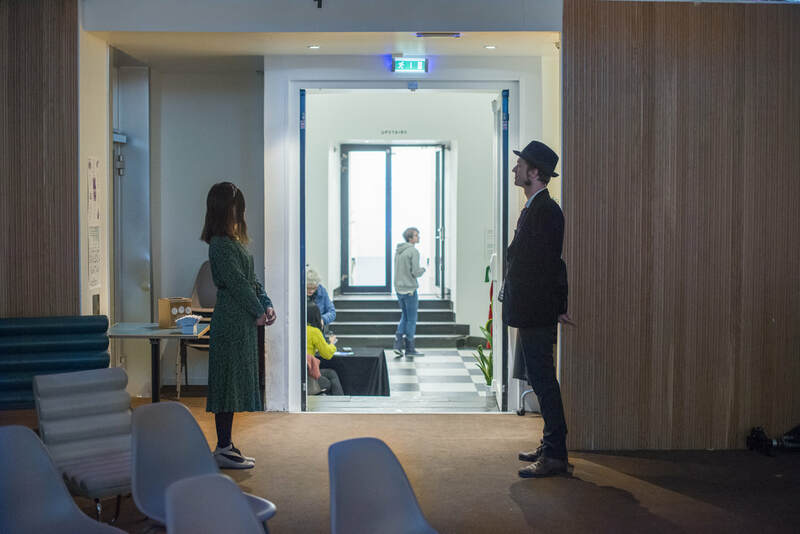 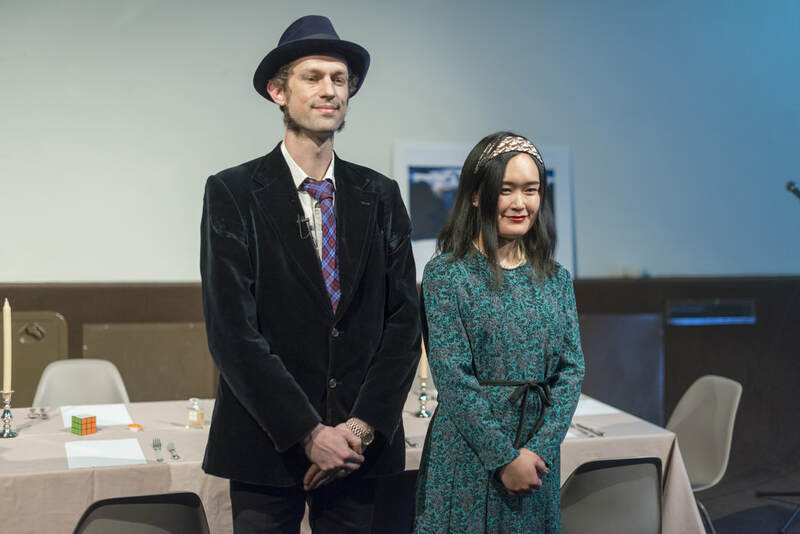 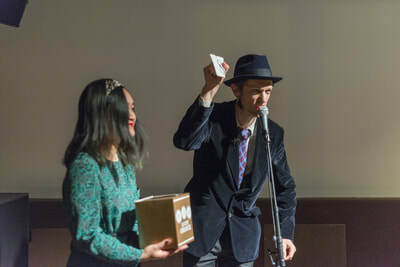 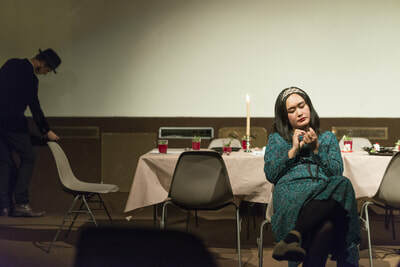 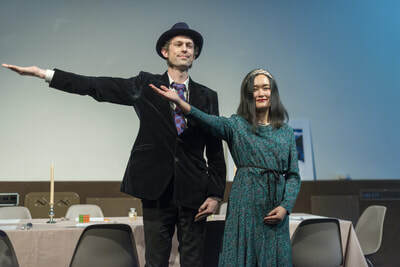 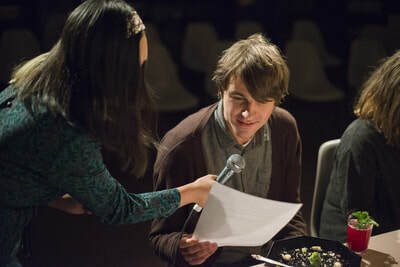 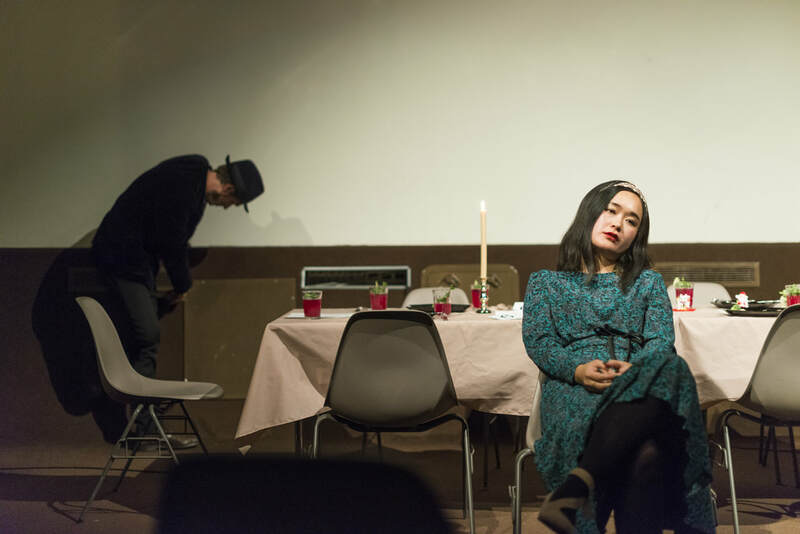 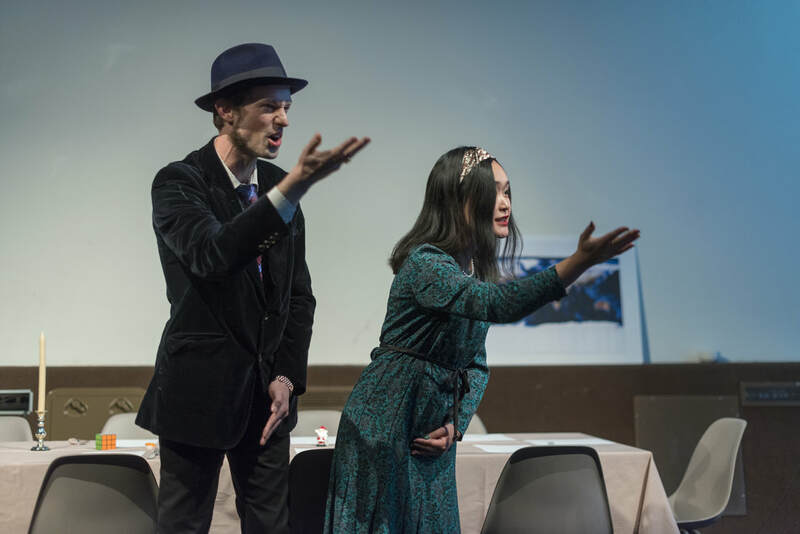 This is the second collaborative performance between Hiroko Tsuchimoto and Hans Christian van Nijkerk. 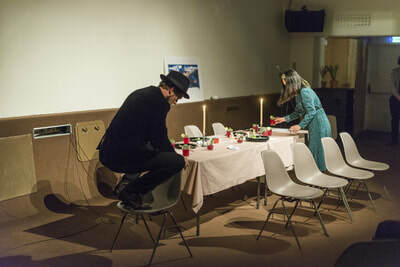 In this performance, they kindly invited the audience to a sensual experience with active participation. 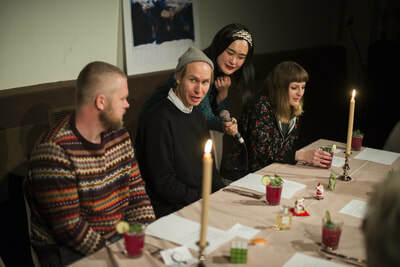 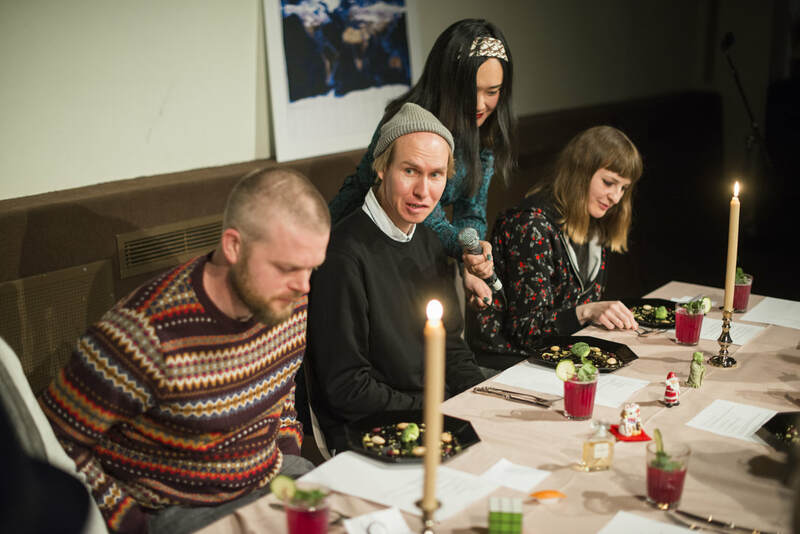 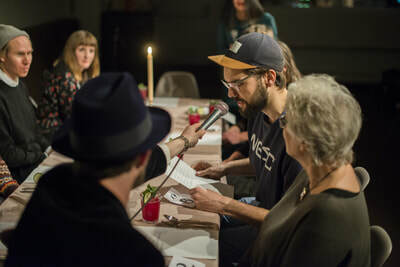 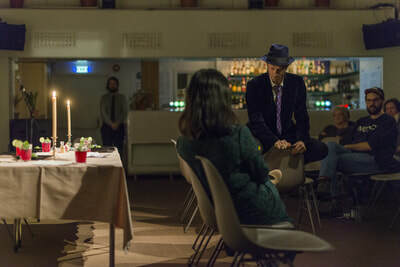 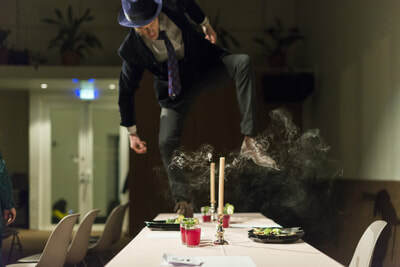 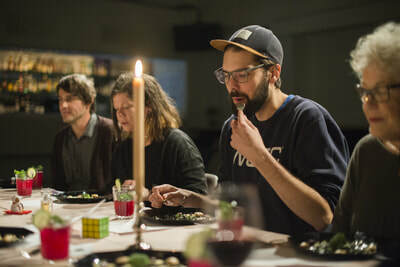 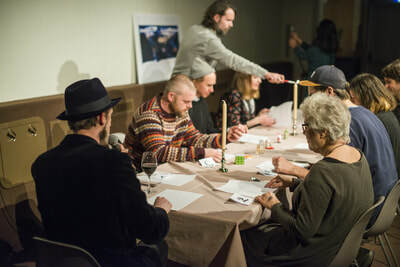 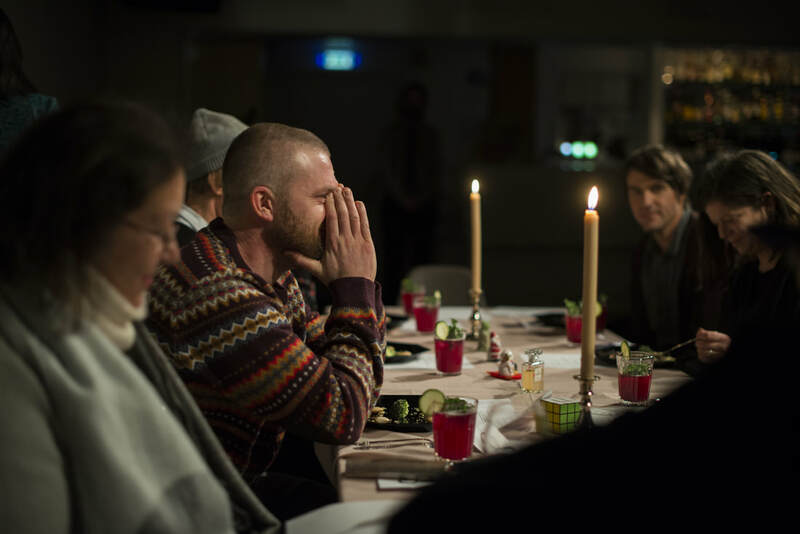 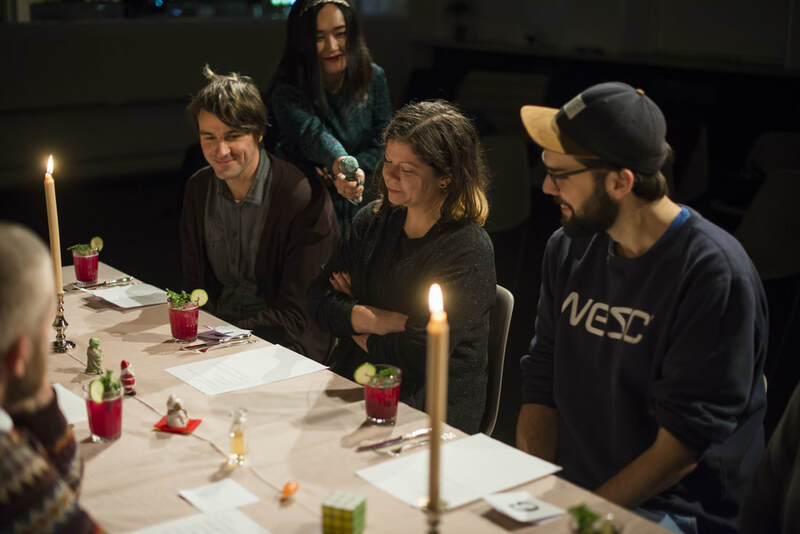 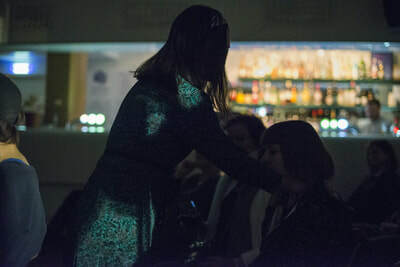 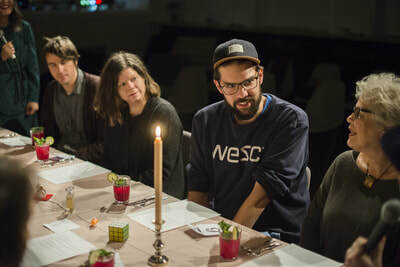 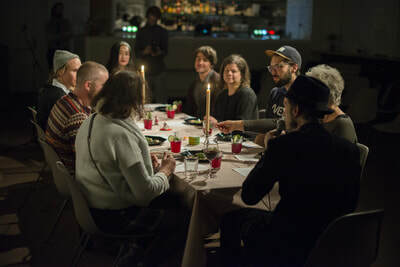 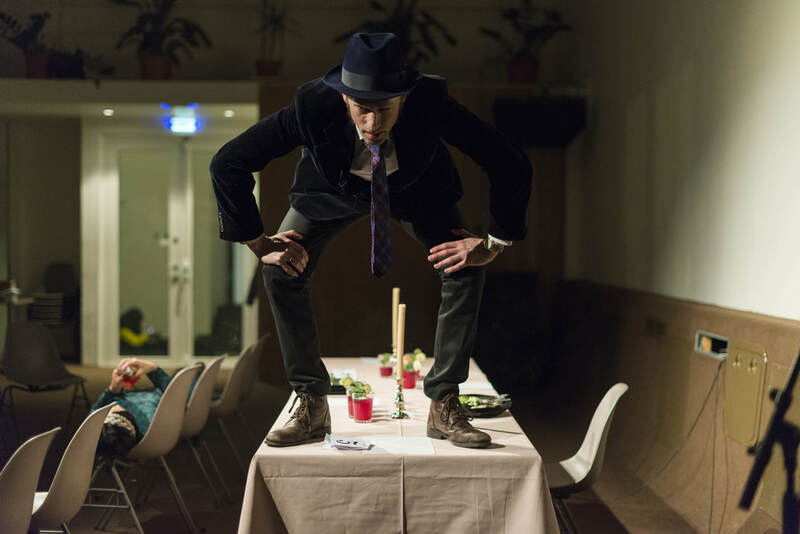 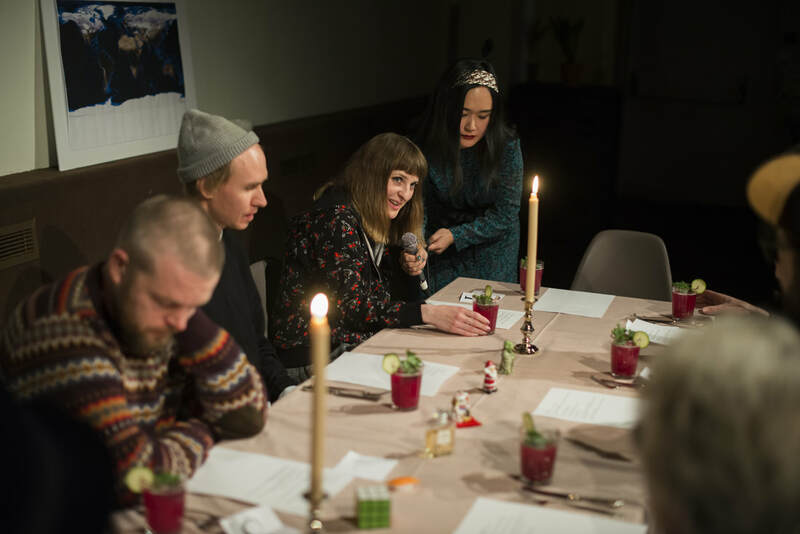 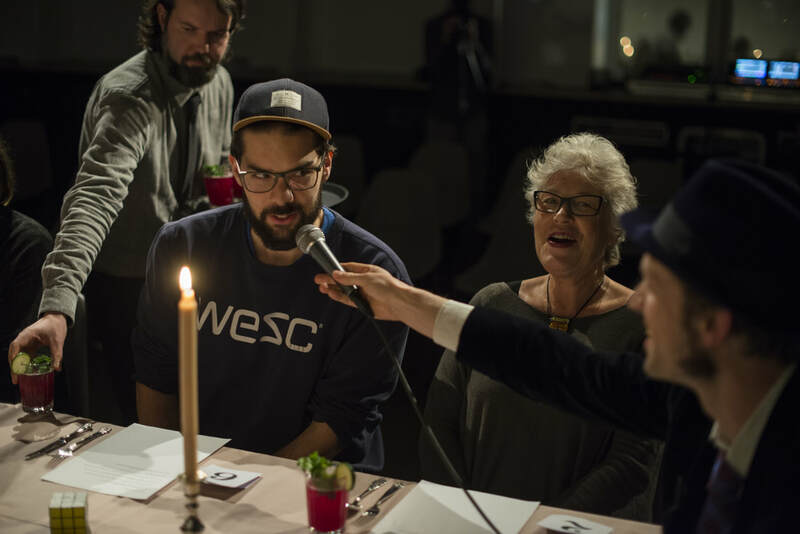 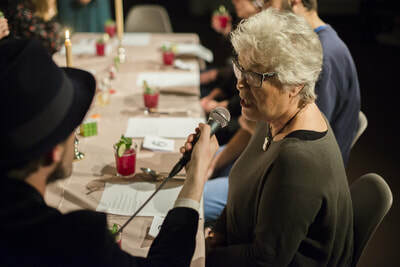 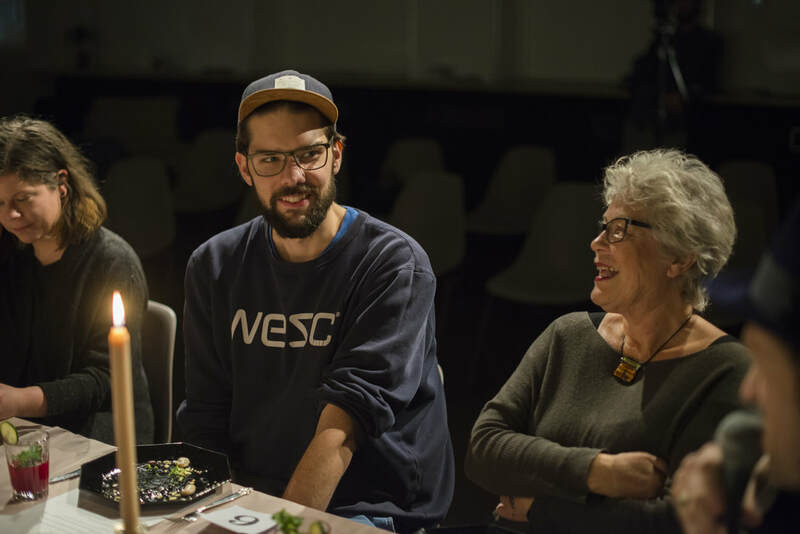 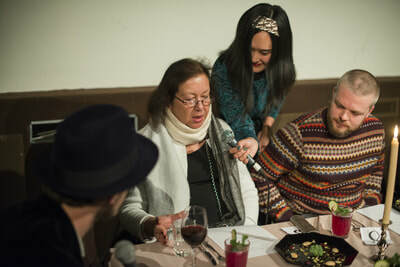 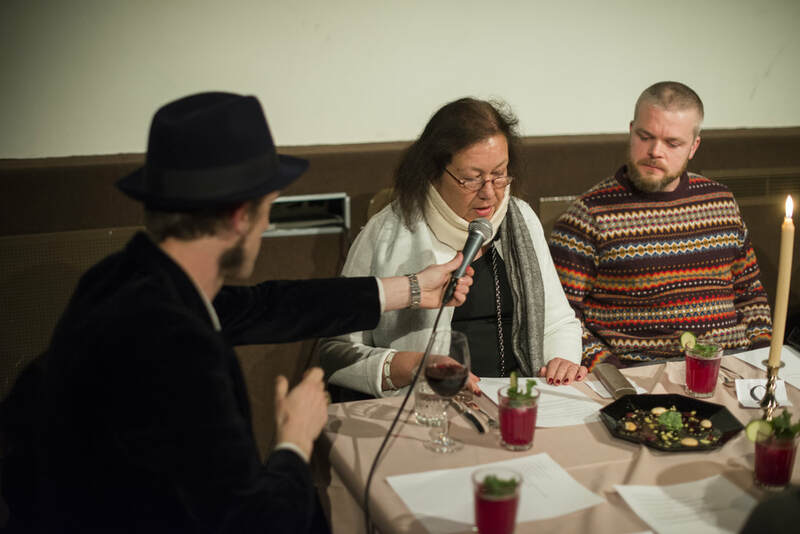 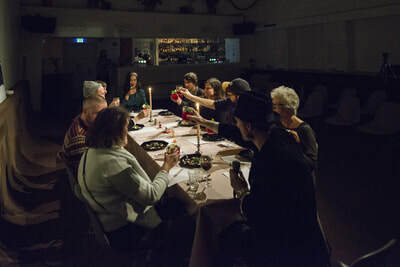 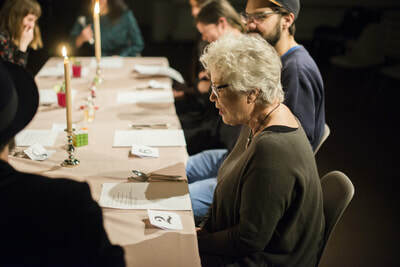 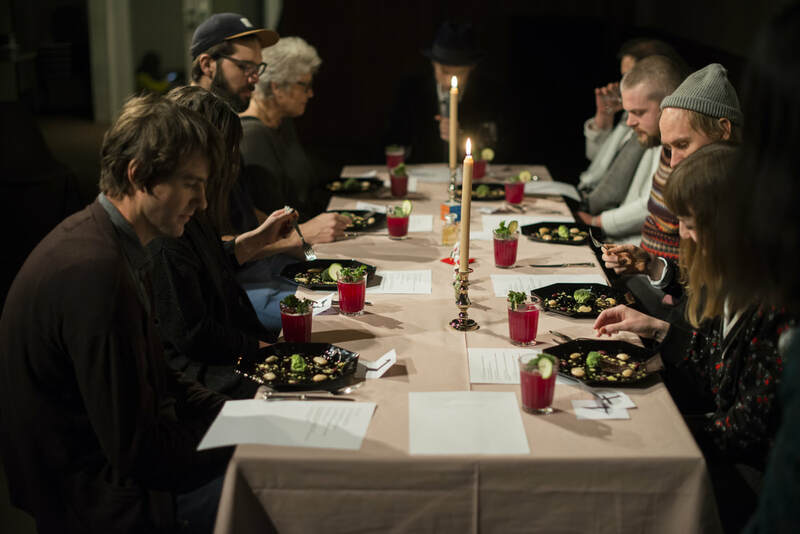 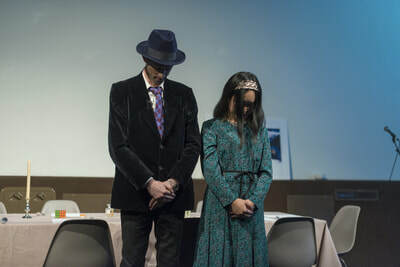 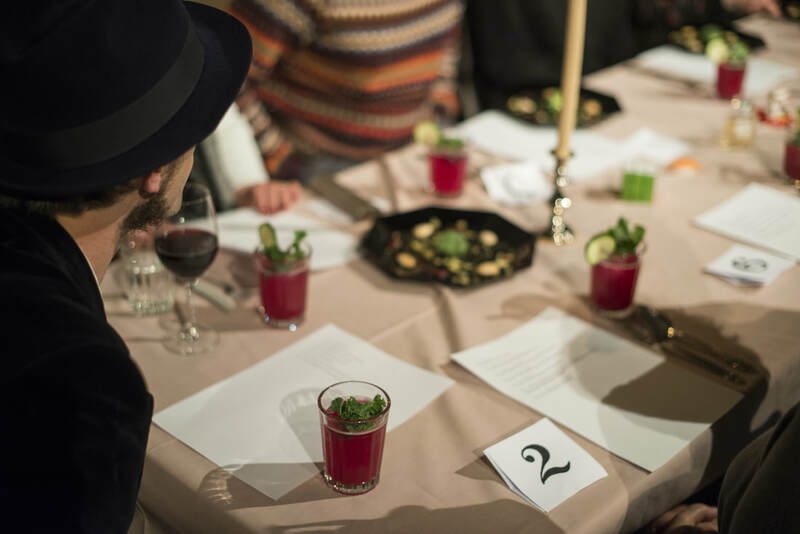 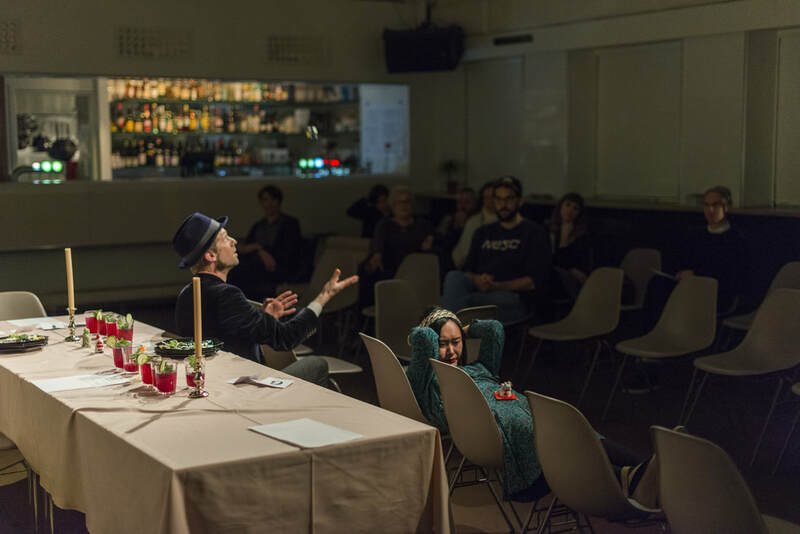 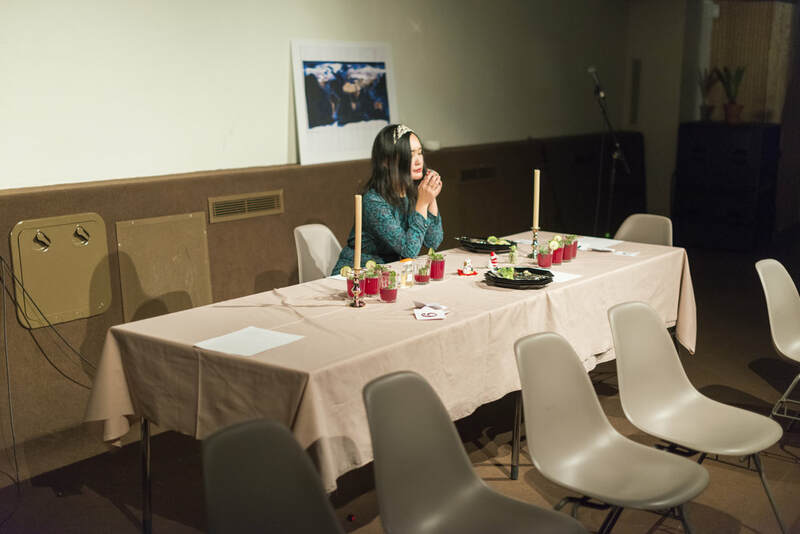 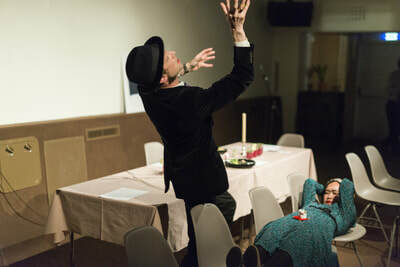 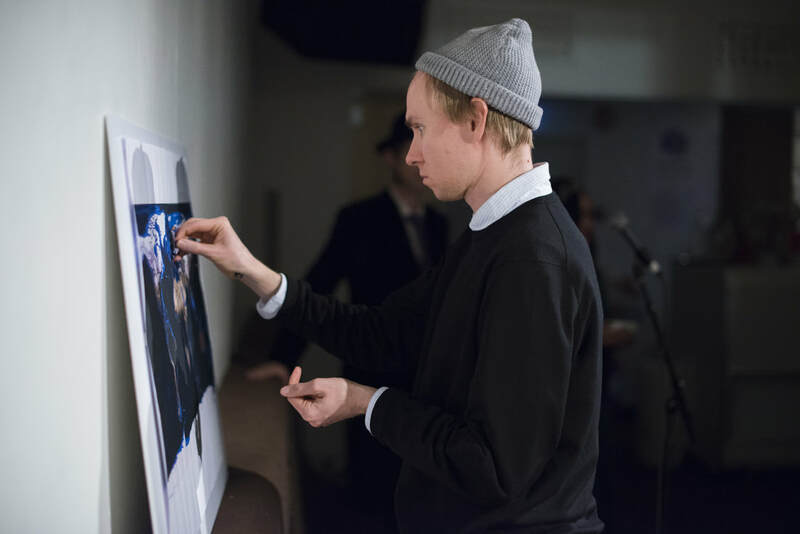 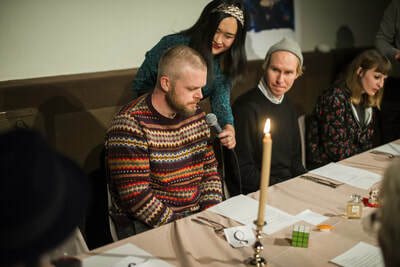 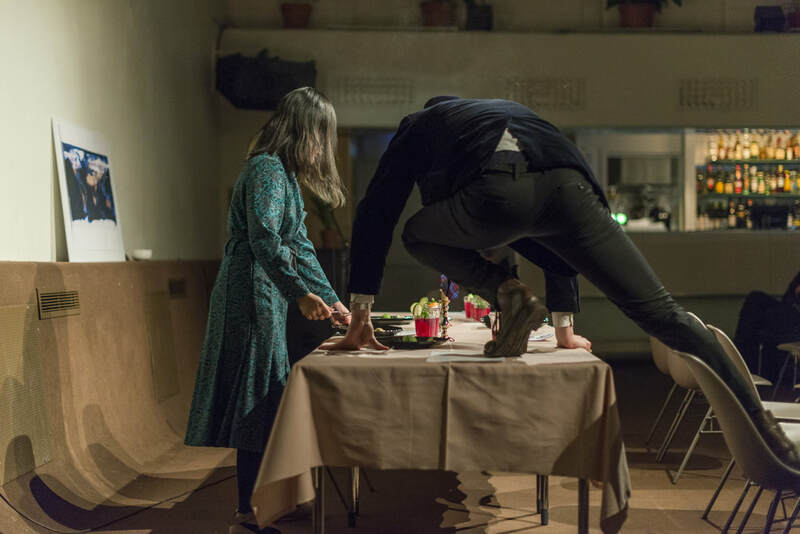 Referencing and criticizing the avoidance of boredom and discomfort in our contemporary society, they created an occasion, an unconventional dinner party for the audience members. 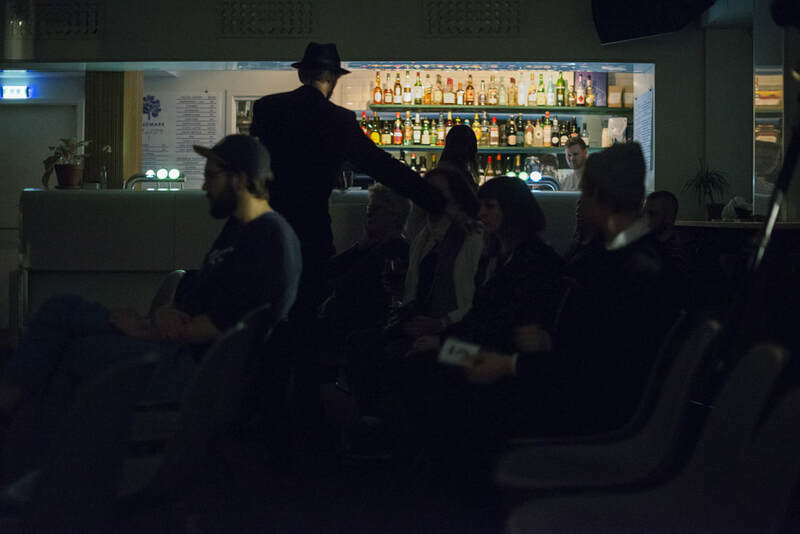 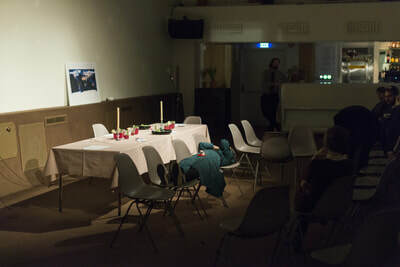 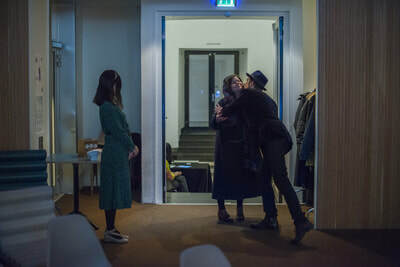 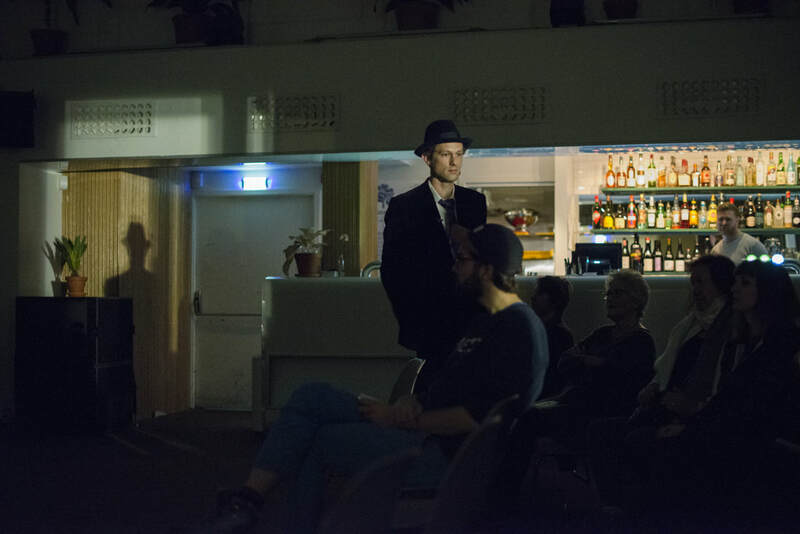 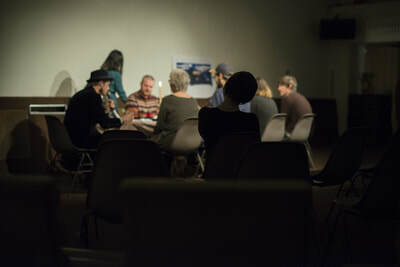 The artists played around the level of performativity and provided the audience with opportunities to explore their mental and physical “discomfort” zone with welcoming hugs (in Dutch tradition), a long wait, a safety demonstration, physically touching the audience members in the dark, scripted small-talk, food presentations, etc.